Brush off the dust! History now! Every semester it is one of my favorite assignments. In asking students to start to recognize the vocabulary that can help them place a Vita (translation: Life–as in an early form of biography that often focused less on accuracy and more on example or political commentary) in the appropriate era, I have them select an era and then draw up a list of words, Mad Libs style, that would be appropriate for a Vita from that era. The virile man was cunning. He conquered other nations. in the noon he was the first to struck his Caesar. This group included key figures/deities that would indicate a Roman text, as well as focusing on the admirable traits of a Roman leader: virile, cunning, conquering, striking–in other words, strong, clever, and militant. The literate man was educated. He copied other nations. in the death of Charlemagne he was the first to defend his Carolingians. This group selected the Carolingian era, for which they read an excerpt of Einhard’s Life of Charlemagne. This is rather different from the Late Antique-era Vitae which focused more on holy men and women with a special emphasis on martyrdom, conversions and miracles, or withdrawal from the world. The Carolingian Vita–and especially Einhard’s–is deliberately copying the Roman tradition of Vitae. This group, however, chose to focus on the particular marks of Charlmagne’s reign: education and literacy, copying of texts (though in the Mad Libs, this meaning was changed considerably), conversion and defense of the Church and empire. It also included important Carolingian features and events, such as the Missi who were the messengers of the king, distributing his capitularies (laws) and charters, and the crowning of Charlemagne as the new emperor by the pope. The hearty of service man was master of good will. He overpowered other nations. in the nighttime he was the first to die his orator. Here, again, is a Roman example. This one also focuses on virtues of a leader including a permissible goodness, strong military career–including the admiration of soldiers–and a touch of the Hellenistic or possibly a nod to the typical career-building of the Roman elite (or both) in identifying him also as an orator. The blessed man was arrogant. He granted other nations. in the Easter he was the first to overthrow his bishop. This one is a little confused merging historical interests of the Late Antique writers, such as Gregory of Tours, and the holy-man/martyr-Vita. If one discounts the use of “arrogant” and “overthrow” in this sample, one can see the clear use of Late Antique preoccupations in their Vitae: blessed men (and occasionally women), relinquishing worldly possessions and goals, devotion to Jesus, willing martyrs in the face of persecution, the importance of Easter, and the significance of stable church offices, such as the bishops, in the face of great change and threat of violence in a post-Roman Empire world. Historians of the era, on the other hand, often discussed the violence of the newly arrived peoples–particularly that of fratricide among Frankish princes in order to secure a larger cut of the kingdoms they inherited. This may explain the incongruous additions of “arrogant” and “overthrow”–unless their Vita was a conversion story, of course. The strong man was controlling. He reinstated other nations. in the Treaty of Verdun he was the first to convert his Carolingians. And, finally, another Carolingian mock Vita. This group focused less on Charlemagne’s renovatio (the word the Carolingians used to describe their own program–what many scholars today call the Carolingian Renaissance) and more on the type of leader Charlemagne was: strong and controlling, trying to convert the Saxons. They still include the renovatio in the verb “reinstated” as many Roman and Church traditions, in addition to the education programs, were attempted. This group references the Carolingians fellow-Frankish dynastic predecessors: the Merovingians, including (I think) their glorious campaign by Charlemagne’s grandfather, Charles “the Hammer” Martel, the Battle of Tours (they mean Poitiers, though, unless this is just a convenient place name to describe a battle which could have taken place) which drove the Muslim advance out of Gaul (modern day France) and back into Spain. They leap forward then to the later Treaty of Verdun signed to attempt an amicable division of territory between Charlemagne’s grandchildren–it would not last. Is the lecture/passive learning method a successful means for teaching our students? Do we employ it simply because it is how we were taught (keeping in mind that many of us enjoy our subjects and therefore often enjoyed many of the classes we took)? I think, firstly, that we as educators have to admit that we frequently enjoyed our lectures as undergraduates and, for those of us who sought grad school, avidly attended many conferences when feasible. Because of our interest we were seldom passively learning, however, and often making connections to other material or asking questions. We frequently enjoyed lectures. On the other hand, what about students who lack that interest or experience with other material? Is it impossible to inspire them to be interested? I can freely admit to sitting in class, genuinely interested in what the lecturer was saying, but totally unable to keep my eyes open unless I got up to get some water. How much more difficult is it for someone who has not yet learned to appreciate the subject or gained experience with related subject matter? Lecture is effective as long as it is engaging. There are many ways for lectures to be active learning experiences, but we have to be honest and acknowledge it is easy, without vigilance and planning, to make it a struggle for everyone. Whenever I feel I’ve fallen into the dull lecture trap, I like to return to the Ken Bain book I was assigned in a graduate level historical teaching course: What the Best College Teachers Do and especially the chapter, “How do they conduct class?” This book is the result of asking people about their best experiences with college professors to create an interview list of the top instructors in the country, as well as inquiring about their worst experiences to create a negative persona, Professor Wolf, with the bad examples. Below, I want to provide my own summary of this chapter. (Keep in mind that I’m prioritizing my summary based on those things I am either most passionate about or those points about which I think I need the most improvement, personally–other points within the book might apply differently to other instructors.) The headings are directly from Bain. The gist, here, is that students should be engaged, probing materials and assumptions, seeking answers and asking questions. They should be grappling with the same questions and problems that scholars do. They should be doing this while they are sitting in class with the instructor! The biggest and most common mistake an instructor can make is to provide answers to unasked questions. What can we ask now? (in response to questions asked by students) What do you think? If this is true, then why (how, what, where, when, etc.)…? What major conclusions did you draw? What questions remain in your mind? Bain speaks briefly about the need to get the attention of students and hold it in his 2nd heading of this section. He begins this under this heading by stating that it is necessary to gain students attention for higher purpose, to initially focus on something the students get, are concerned about, or assume before our own stories, theories, or outlines. Another professor Bain interviewed, Michael Sandel, reminds us that Socrates began by staring with what people thought they knew and then tried to “systematically to wrench them from their familiar place.” (110) Thought exercises/experiments can introduce familiar scenarios that test for assumptions and force students to reason forward, applying critical thinking, self evaluation, civil argument, and defense. “Many of the best teachers,” Bain writes, “make a deliberate and carefully measured effort to confront some paradigm or mental model that students are likely to bring with them to class.” (112) This is a student-centered ethos that serves to draw students in and introduce them to the type of thinking and questioning that is required for solving problems in the field. It starts with the students and elevates them from where they began the process to a new level within the field. Students should be armed with the necessary skills and preparation for the next homework assignment. This is in opposition to merely “covering” material or assigning something because it “deals with” some subject. The best teachers plan in reverse, says Bain creating a map with intellectual way-stations that provide the opportunity to develop through the course. In other words, they know what their end goal is for the students and develop a course that will guide them there. This means that they are properly prepared to advance both their knowledge and their thinking by doing the assigned work outside of class. It should contribute both to their knowledge of content and the skills they need to employ while working in the field itself. Any course that is not designed with this tenet in mind is a waste of time and money. Just read a textbook or watch a few documentaries if we are going to ignore how this information is gained. If, as a professor, I present my discipline without teaching you how to replicate the field’s problem-solving, them I’m swindling you, withholding the sacred knowledge, keeping you beneath me. That is unacceptable. Besides, we should take advantage of our disciplines to advance our students’ thinking skills. What could we possibly gain by neglecting this fundamental duty? The key to successful lecture, thus, begins with a successful concept of the course, including a commitment to engaged learning, followed by the notion that it is more of a conversation–a collaboration, if you will–than a performance or an exhibition of one’s knowledge and know-how. Passive learning is, in actuality, ineffective. But, this does not mean that lecturing has to equate to passive learning–good lecturing is, without doubt, a means of engaged and active learning. Teaching our students to “see” our field is an essential aspect of what we do. While I had a student recently express frustration with my midterm that tests for methodology as much as content–and, what would he need that for when this is a 101 class and he’s a computer science major–the simple fact is we want our students to see more of the world around them, not less. History has a humanizing quality about it, but one cannot access that facet of the field unless one has an understanding of how history works. Engaging humanity through another culture, even if it is a root for our own–especially if it is a root for our own–forces students to effectively open a dialogue with the people who came before. But, that is impossible if we pretend to be the man behind the curtain and provide our students with a sterilized “history” that has already “answered” all the questions for the students. Rather if we open the discipline up to students and encourage them to attempt formulating their own interpretations and engage directly with those of scholars, then we will expand their vision. The history of Fort McHenry is well known to locals who are proud of its place in American history and as the site where the star-spangled banner waved in the wind, inspiring Francis Scott Keys, held on a British man-of-war in the Bay, to pen the poem that became our national anthem. The more we can add to what our students and our children see, the more rich and nuanced the world they live in becomes–the more alive! When a person can scan the horizon and see in his or her line of sight a teeming vision of the community around him or her (whether it is a positive and pleasant sight or one that insights frustration or anger), boredom and disinterest remain distant. Citizens are thus engaged in their community and in the world in which they live. As a result, they can share more with all of us. This same argument applies to the skills the field requires, not merely the content. Seeing is a verb with many meanings. One can see the scene in front of him or her and one can see patterns in verbal communication (which can later impact how one sees the scene). We are a culture inundated with verbal communication: ads, news, social media, entertainment, etc. It is crucial that we learn to digest that material effectively and critically. It is also expected that as citizens we are prepared to engage in the dialogue, but for that to be useful the output has to be intelligible and preferably intelligent, even if contrary. Historians have to read critically, recognizing what questions a source answers (even if that question was not already in their head when they sat down to read the source!) and which questions still need to be answered–this active reading and developed curiosity leads to interesting and productive explorations. It also fuels useful discussion. If we can help students to see these things in what they read and write we are training them to be successful whether they are stay-at-home moms or dads, computer science professionals, local businessmen and women, or historians. It trains them to see information with a critical eye and ask the right questions, recognize answers, and intelligently navigate arguments. Think over your own lifetime and select a product that has been around at least as long as you. How has that product’s marketing and appearance changed over time? Can you recall when it shifted its appearance? (Many folks will, for example, recall when Pepsi changed its look in very recent history, perhaps to capitalize on Mr. Obama’s campaign iconography coming off his first inauguration or perhaps as a simple coincidence.) Branding and rebranding may teach us something about how archaeologists date their finds in the field. 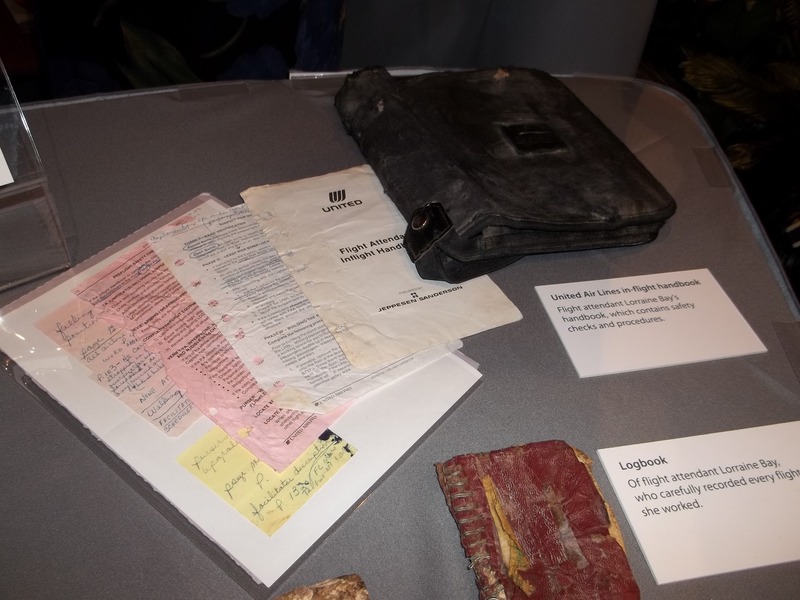 Dr. Lawrence E. Stager is a Harvard professor and a Biblical archaeologist. I recently viewed his discussions about archaeology and Biblical archaeology specifically in Biblical Archaeology: From the Ground DOWN for my History 101 unit on the ancient Hebrews (a favorite lesson of mine that not only builds nicely on our previous weeks’ discussions about Mesopotamia, Egypt and the Hittites, and archaeology as a source of knowledge, but also stimulates great discussion and debate about texts and oral history). In it, he at one point is explaining the concept of pottery typologies that are used to date the differing strata of the tells they dig in the Near East (a tell is a mound or hill that has developed because succeeding levels of a city were built upon each other following natural or man-made destruction, reconstructions, redevelopment, etc.) wherein each of the strata represents a (roughly) different time, epoch or event layer of the city’s or neighborhood’s history. Stager explains that pottery types (hence the term typology) went through phases of popularity that give scholars confidence in dating the individual sherds that are left behind. 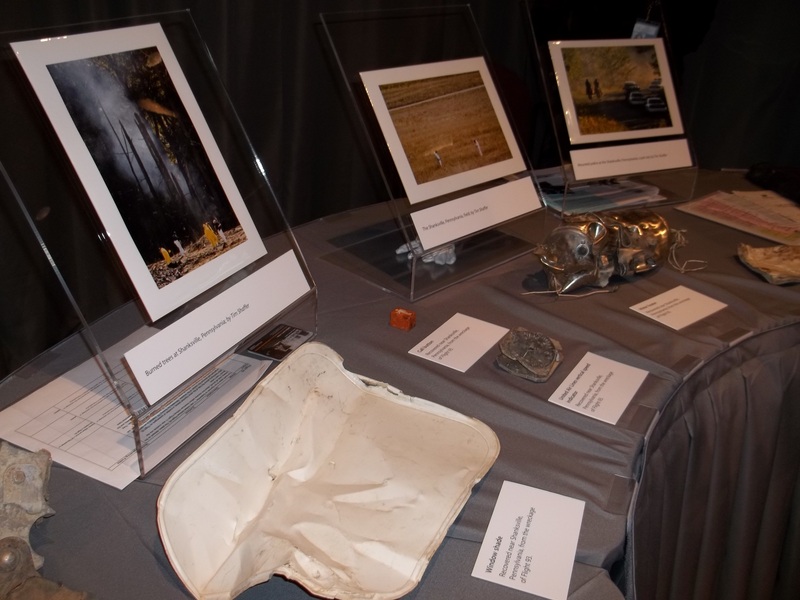 One of the best sources for archaeologists seeking the lost material culture at dig site is the midden or garbage dump. 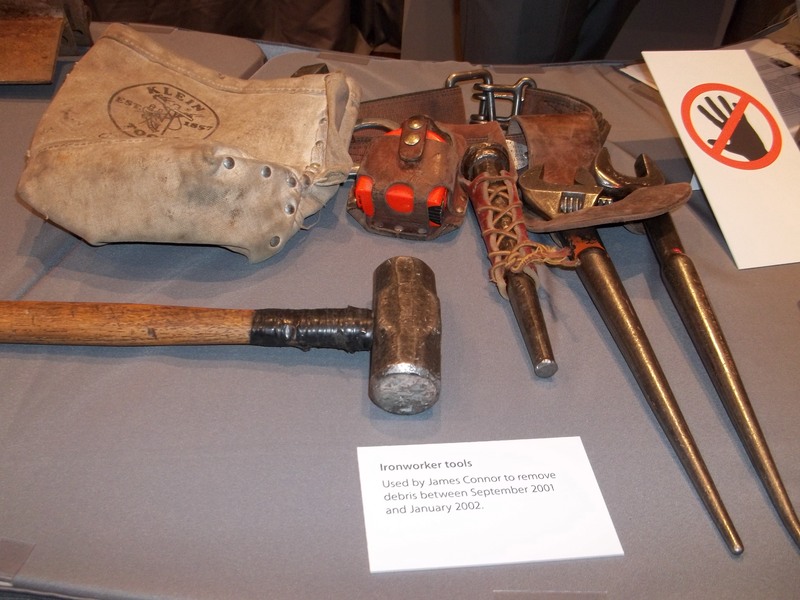 Here, the various broken tools, accessories, and other materials can be found in one place. 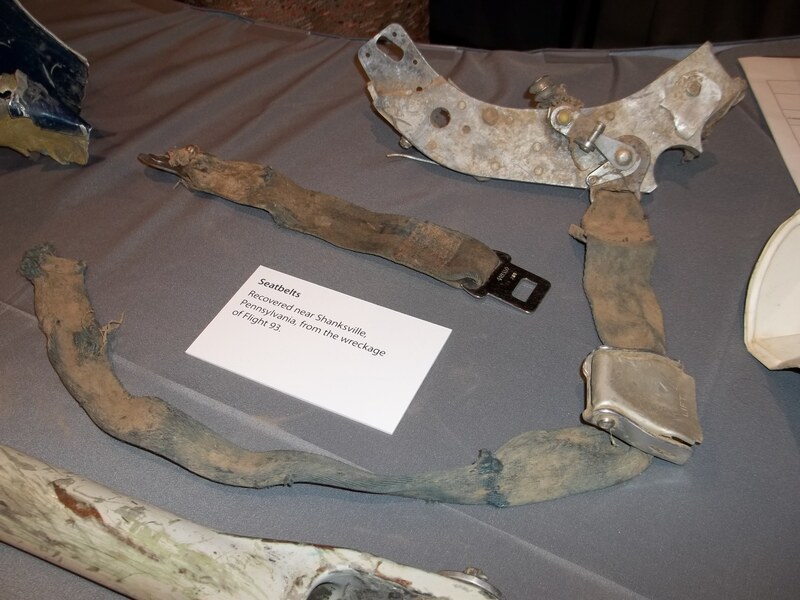 Stager explained that broken sherds can provide enough material evidence to suggest the time period when the pottery was in fashion: particularly the handles and lips of pottery pieces if those are available, but also the designs used to decorate pots which can nail down both culture and time. The “new” Hobbleskirt design, this one being a rare example from 1915, featuring blue glass on top and green glass on the bottom. 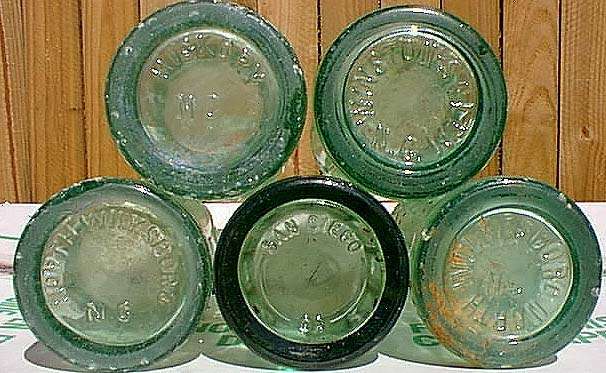 To explain this process he brought up the design of the Coca Cola bottle in his own lifetime, during which he drank from glass bottles with the brand appearing on the side of the bottle in raised glass, the glass bottle with a painted or printed label on top of the glass surface, and finally the plastic bottle. These different motifs are traceable to the exact years in which they were manufactured. “Dec. 25 1923” (called the “Christmas Cokes”) were produced from 1928 to 1938. You can identify them from later reproductions by looking at the base–Can you spot the reproduction in the shot? 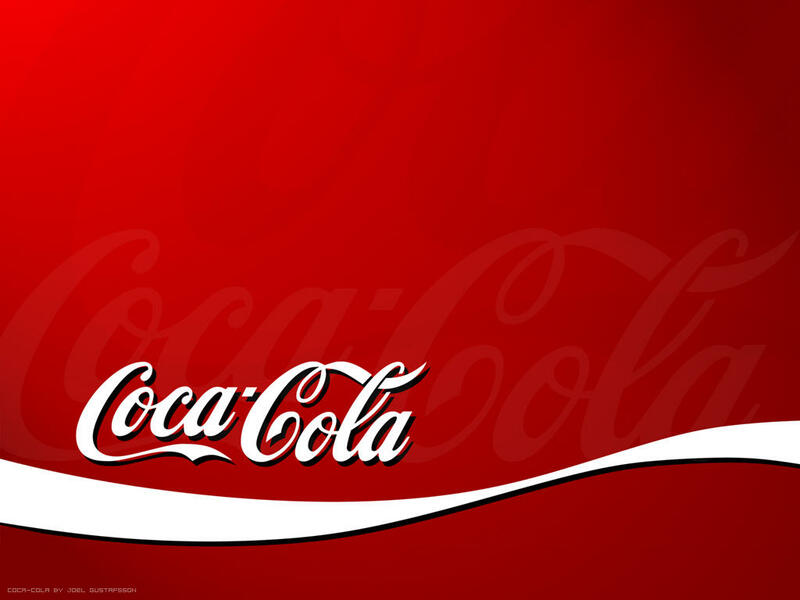 When Coca Cola was originally produced it was at the soda fountain in the latter years of the 19th century and served in glasses (and the original recipe included cocaine–hence its value as a medicinal product, if a highly addictive one). 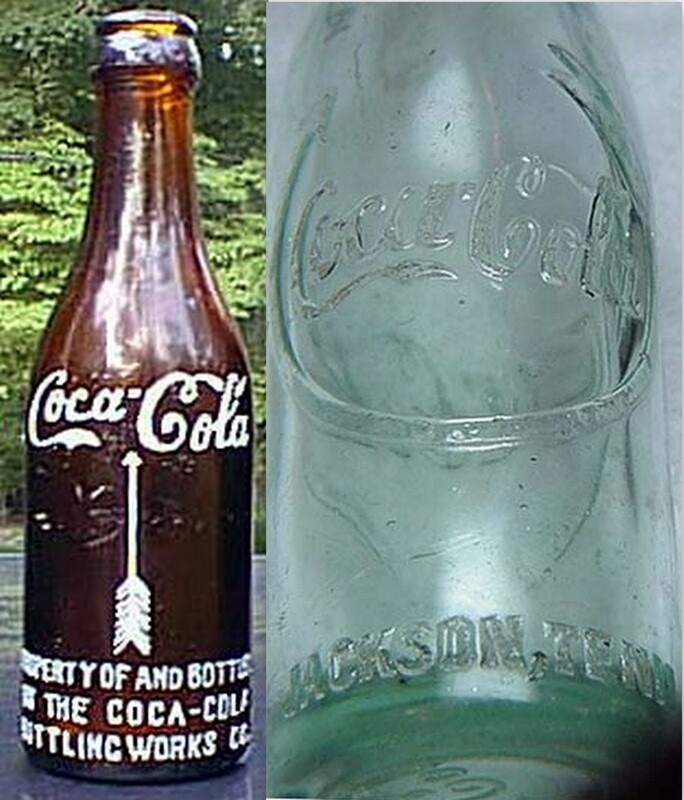 Eventually, to protect the brand against pretenders, the Coca Cola company adopted the contoured bottle between 1905-1908, and that it attempts to maintain even in today’s plastic bottles, also know as the “hobbleskirt” design. In the early days, branding was more fluid and it is more challenging to date some of these early bottles without some reference–many collectors’ sites exist to aid this process of differentiation; if it is of interest to you, see links below this post. The bottle variations from the early part of the 20th century not only fluctuate greatly over a comparatively small snap shot of time, they deviate from each other regionally, as well. 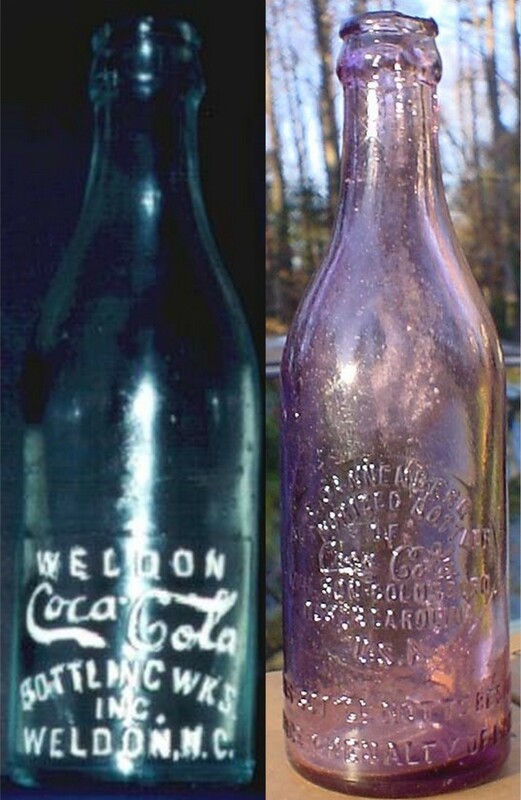 Savvy collectors have also learned how to identify fakes made by irradiating clear glass bottles in an attempt to create the classic amber–deep purple Coca Cola bottles, for example, are fakes of this type. 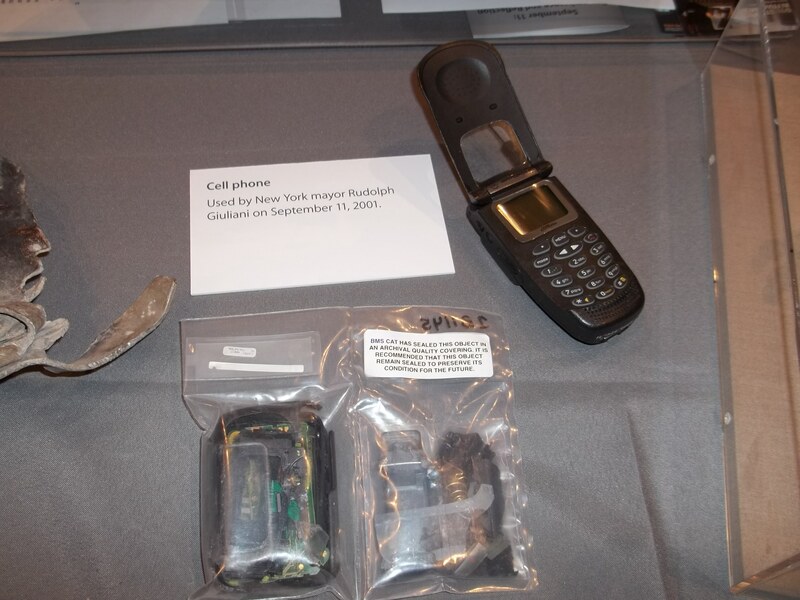 While they are not typically digging these specimens up, they are employing the same basic approach the archaeologists have developed for cultures that predate patents and trademark laws! 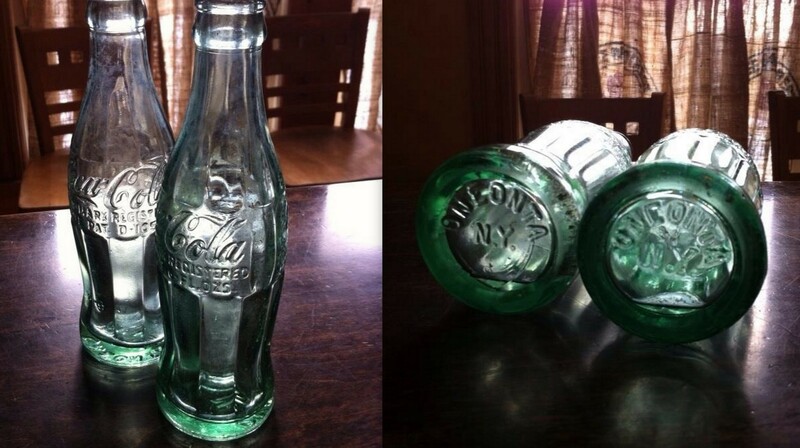 Antique Coke Bottle – This site also shares related links, though some are dead. There is a song on the radio that has been bothering me. Not exactly like an ear worm, but sort of similar. It is the Atlas Genius song “Trojans.” The lyrics are provided, below, and in the video, above. And oh what is left? For all those times is that what you get? Am I the only one who thinks the lads at Atlas Genius may have meant, “Your Achaean’s in my head,” or “Your Greek warrior,” or “Your Trojan horse”? Perhaps my thinking is too cerebral for the song, and the guys from Atlas Genius are simply referencing condoms or computer viruses, but I feel there is a simple mistake being made, here, incorrectly identifying the soldiers inside the Trojan Horse as Trojans and not Achaeans invading Troy. Songs are in comparison to poetry often more abstract as they are complemented by the music the artists write and even the voice and emotions of the singer to help convey their meaning. Having acknowledged that, I can’t help but wonder if they simply got the famous story of the Achaean (Greek) military deceit wrong. On the other hand, it is possible that the singer represents the Greek side and is deliberately revising the story to to turn it on its head and explain the relationship with his partner. That would be a pretty interesting twist to the story. And, perhaps I would do wrong to sell them short on literary knowledge–their EP was titled Through the Glass… Or, the song could really be referencing the computer virus, which through shortened parlance has come to misrepresent the mythological tradition, itself. Whatever the band intended, I find myself wondering whether they are unintentionally corrupting the story for a generation (or two) that is more or less completely unfamiliar with Homer, Euripides and Virgil whose epics and plays have preserved the story for us, today (and, no, Hollywood reproductions do not count as familiarity). For my own personal interpretation (and enjoyment) I choose to think of it as an interesting recasting wherein partner is Troy turning the traditional interpretation on its head. I find it most interesting that way. 2012 in review for Brush of the Dust! History now! Thanks, everyone, for your support and interest! I was on an adventure this Christmas–a long prolonged adventure in Germany. Now that I’m back, I plan on bringing some fresh content soon! Don’t run away! I promise I have the goods. 🙂 Happy New Year to you all!